Going to a new city can provide a whole new culinary experience but sometimes you don’t know where to start. While in Chicago you can taste the best of several restaurants while enjoying a tour of the city. Chicago Dine Around provides provides a unique and interactive dining experience that you will want to share with your friends. I had the opportunity to attend a public dining tour (Private tours are available) while in Chicago last weekend. This is a progressive dining tour so you will rotate between 3 restaurants and enjoy a tour of the city in between restaurants. Seats at the restaurants are not assigned so you have a chance to mingle with other guests at each restaurant and while on the bus. I recommend you plan to arrive 30 minutes before the tour starts because Chicago traffic is very crazy. We experienced this firsthand and arrived right at 6 PM when the tour was scheduled to leave and missed our bus. After about 20 minutes we were able to connect with the tour guide and took a taxi to meet them at the first restaurant. 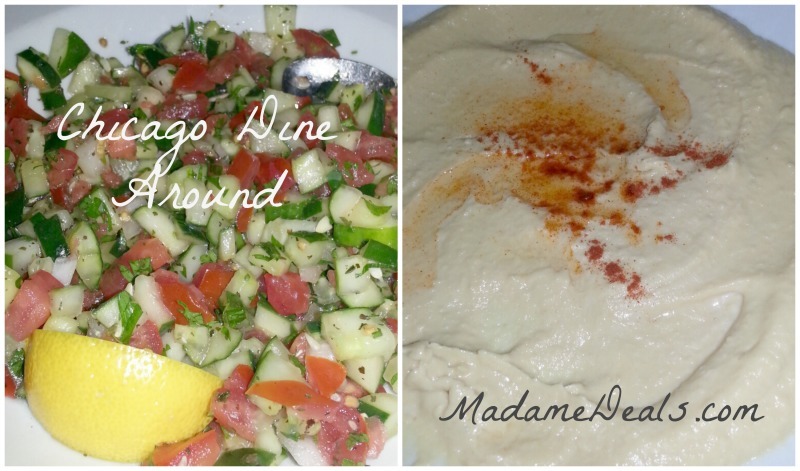 Reza’s features Mediterranean Cuisine and has been serving Chicago for over 30 years. We were treated to Hummus, Persian Salad and Falafel for Hors D’Oeurvers. Our Second Stop took us to Scoozi! Scoozie has been in the Chicago area for over 25 years and features authentic Italian Food. 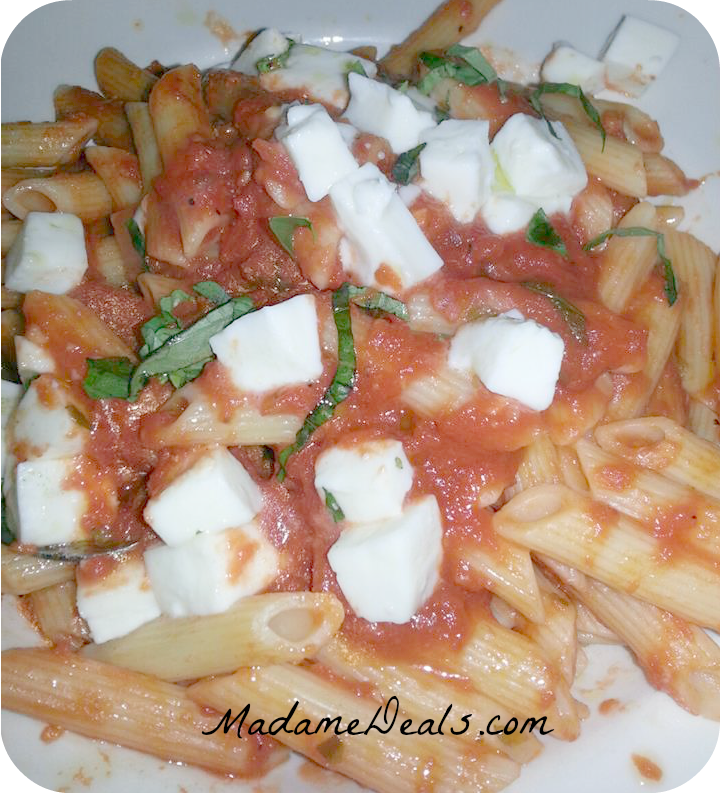 Pastas are imported from Italy or made in house. This was our main dish meal and consisted of Pollo Alla Pamesano, Penne Pomodoro and Veal Meatballs. Our Final Chicago Dine Around stop was at Florentine. Located in the JW Marriott Chicago, Florentine offers an interpretation of authentic Italian Food. 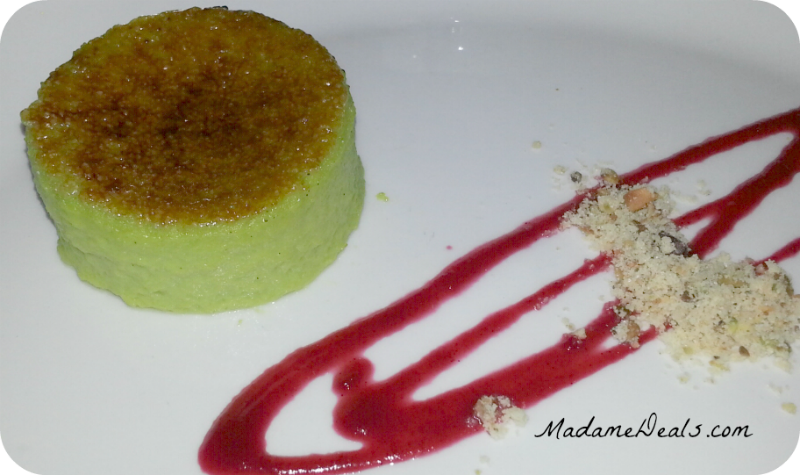 Our dining experience concluded with tempting and tantalizing Torta di Pistacchio. The Chicago Dine Around experience includes beverages and gratuities at all the restaurants. If you are looking for a way to try a little taste of Chicago in one night this is the way to go. Sit back and enjoy the tour thru Chicago without having to deal with the traffic on the street. You will consume delightful dishes, meet new people, and learn information you may not have known. Check out Chicago Dine Around for more information! If you are looking for other things to do in Chicago Check out Sea Dog Cruises! What a cool idea! I had no clue such things existed. I love Chicago and will definitely check this out next time I’m there.